Enjoy a workout overlooking the YMCA Hawker sports field. Our Health & Wellbeing Centre is comfortable and welcoming; its modern gym has Precor equipment and is divided into two areas with resistance equipment to one side and cardio-vascular equipment to the other. Fitness instructors are on hand to offer advice and guidance as well as take you through the Get Started programme, a series of five one-to-one appointment designed to start you off and motivate you to achieve your fitness goals. Enjoy a range of classes from Zumba to Pilates and Tap Dancing to BodyPump. There is something for all ages and levels of fitness all day every day. 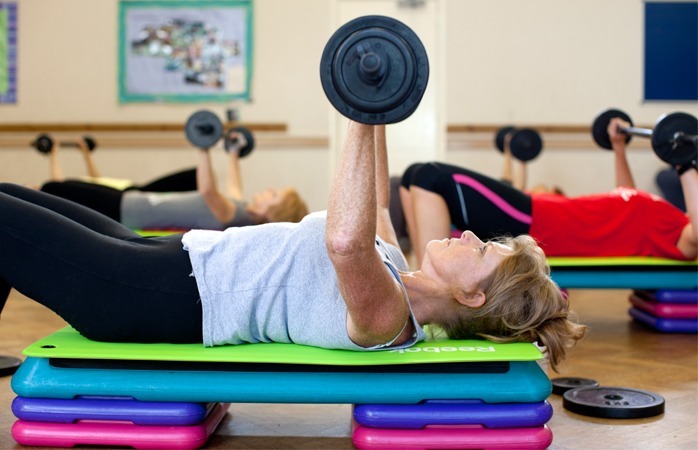 Take a look at our group exercise timetable to find the perfect class for you. Regular exercisers will save money by joining with membership packages starting from just £34 a month. Pay-as-you-go options are also available for the gym and group exercise classes. The Pay-as-you-go price for a standard session prices from £7.00. Apply for your free taster day pass to the gym. The gym, its equipment and the whole centre, is fully Inclusive Fitness Initiative accredited, meaning that facilities are fully accessible and suitable for people of all abilities. Our specifically inclusive classes cater for the broadest range of abilities and everyone is welcome to join in. Ask our staff about the 12-session Get Active exercise referral programme which is available at our nearby sites in Surbiton and Wimbledon, and pick up a leaflet from your GP. We support our local community as a venue for social activities and offer a senior membership across YMCA St Paul’s Group. During the Christmas period we will be closed from Monday 24 Dec – Wednesday 26 Dec & Monday 31 Dec – Tuesday 1 Jan 2019. In addition to this, we will be closing early at 18:30 pm on Saturday 15 December and opening late at 9.45am on Sunday 16 Dec. Please read our Health & Wellbeing terms and conditions.